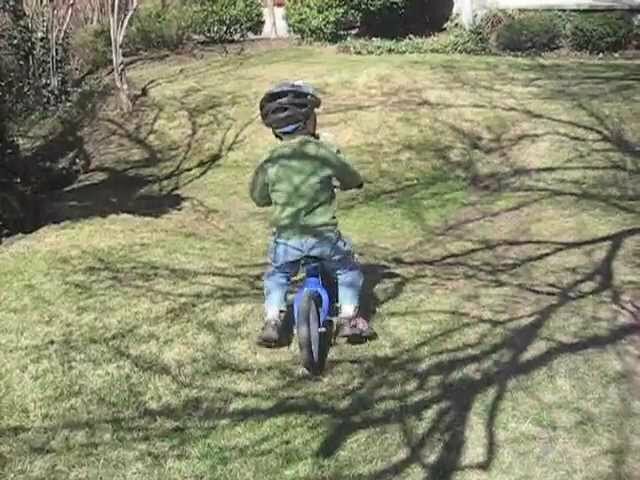 The Cruiser Balance Bike is the largest balance bike from Boot Scoot. Most children get started by walking while straddling their Boot Scoot. When they become more comfortable, they will begin to sit on the seat, push themselves forward, and maintain balance with both feet. As they learn to balance on their own, they will begin to lift their feet and roll for short distances. Before long, they'll be cruising along and you'll have to quicken your pace just to keep up. Most children take somewhere between a few days and a few weeks to get the hang of riding their Boot Scoot.